I sincerely hope that by the time I reach the end of my first year of blogging that I have a handle on taking pictures for Tuesday posts. Here I am, once again needing more pictures for a recipe. At least this time I have some for the first few steps and then pictures of the final product. 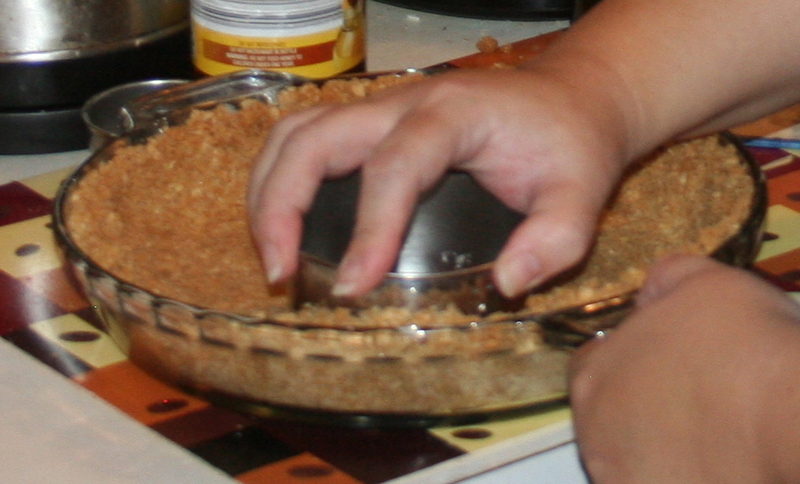 If you want to make this a little easier on yourself, you can buy a graham cracker crust instead of making it from scratch. 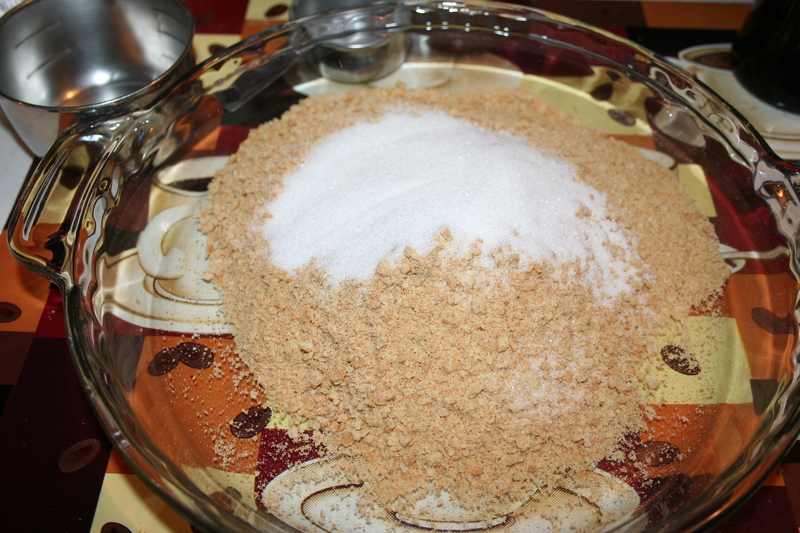 Crush graham crackers, mix in sugar and butter and press into pie plate. If you are using Cool Whip you can skip this next step. 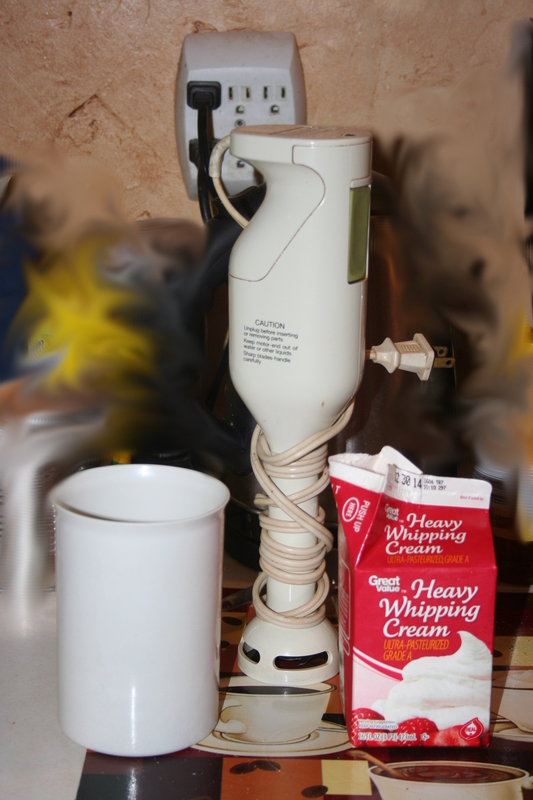 Pour one cup of heavy whipping cream in container and beat until stiff peaks form. I use my hand blender. You can serve with all-fruit on top or make fruit topping, like I do by crushing berries in pan with sugar and water. Boil for 2 minutes and strain. 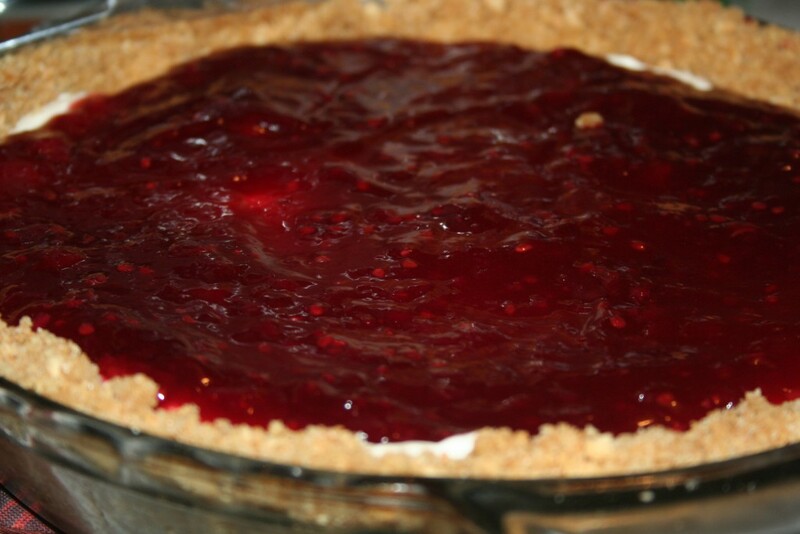 Combine sugar and cornstarch in pan and gradually stir in berry mixture. 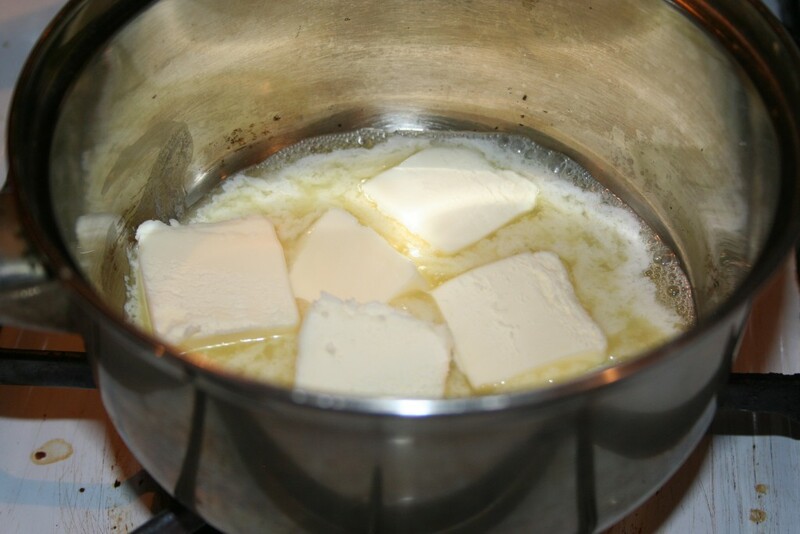 Boil until thick and clear. Crush strawberries in small saucepan. Add water and cook for 2 minutes. 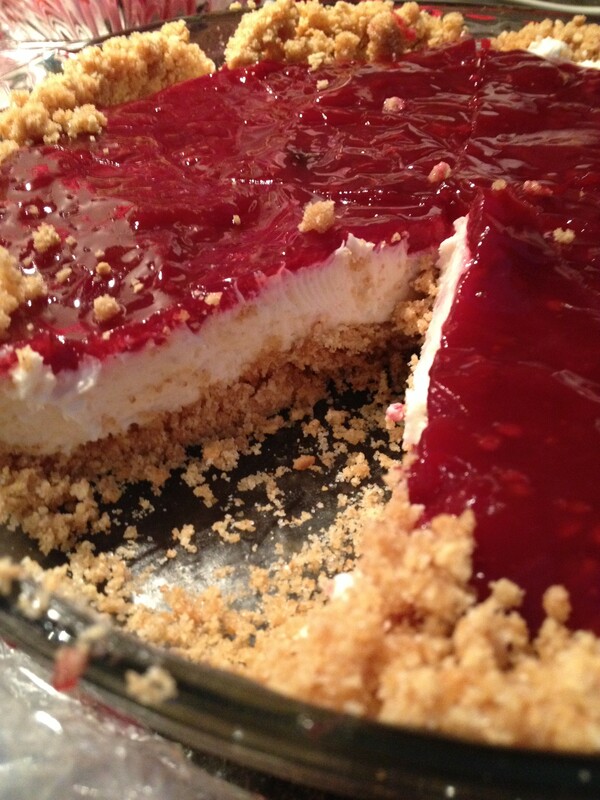 Combine 1/3 cup sugar and cornstarch in the sauce pan and gradually stir in berry mixture. Bring to boil stirring constantly. Cook and stir until thick and clear. Add some red food coloring to preferred color, if desired. Beat together cream cheese, powdered sugar, and vanilla. Once glaze is cooled slightly, spread on top of cream cheese mixture in pie plate. Refrigerate until glaze is cool.